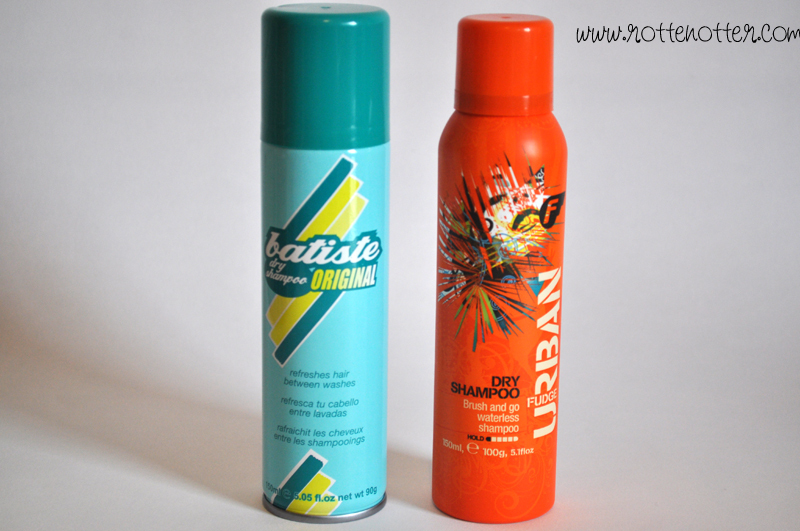 So today I have a comparison of two dry shampoos, Batiste original and Urban Fudge. Lets see who the winner will be! Design: I don't normally like orange but I actually prefer the Urban Fudge design. To me, the Batiste looks a bit dated. I also prefer how the spray works on UF than B, it's easier to control how much product you use. 1:0 to UF. How much product: Despite UF being slightly heavier they both contain the same amount of product. 0:0 for this one. Scent: I really don't like the scent of B, it basically smells like dry shampoo, I don't people knowing I've used dry shampoo because of how my hair smells. B does sell other scents but for this comparison I'm ignoring this factor. UF has an impulse body spray sort of scent which is really nice. 2:0 to UF. Any volume: UF gives no volume at all so is really only good for refreshing the hair. B is amazing at giving volume and I tend to use it before I curl my hair, it works better than any of the volume products I own. 2:2, it's a draw so far. Price: B is roughly £2 and UF is £6.99. 3:2 to B! Where to buy: UF is only available from Superdrug at the moment but B is available from most supermarkets, boots and probably other shops too. 3:2 to B. Overall thoughts: The score is 3:2 so Batiste is the winner! I do really like the Urban Fudge but I can't justify spending that much on a dry shampoo when Batiste works the same and has the added bonus of volume. I've tried a lot of expensive ones which work great...but they aren't so fantastic they they warrant a bigger price tag than the ole favourite Batiste! That said though...I've tried the shimmer Batiste dry shampoo today and that stuff is simply vile!